As a result of innovation in digital video and OTT, consumer prime time has evolved beyond just the living room. This year’s Video Symposium reflects new ways of thinking about direct-to-consumer engagement with sight, sound, and motion, and focuses on new approaches and insights into how consumers are interacting with video content and advertising across multiple devices and platforms. Publishers, agencies, and brands will learn strategies for creating and monetizing video designed for increasingly mobile, moment- to-moment consumers. 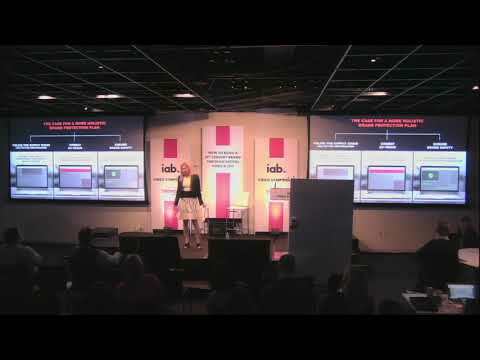 Anna Bager, Executive Vice President of Industry Initiatives at IAB kicked off the 2018 IAB Video Symposium. Bager stated that with 56% of adults now owning a streamable tv, we are seeing growth in ad spend in video. In fact, 60% of all ad spend is now in video. We are seeing key times to reach consumers, a time we call Personal Prime Time, which we consider points of greatest engagement. Linda Yaccarino, Chairman, Advertising and Client Partnerships, of NBCUniversal took the stage in a session titled “Overcoming Video’s Legacy” and explained that while there is a lot of discussion about brand safety, it’s not something you need to worry about when you have premium content. On the other platforms there are concerns for the safety for the consumer and for the society as a whole. What is happening with your data? With my data? She continued that there are three main parts of this social contract: Responsibility, Transparency, Accountability and introduced CFlight as the future of measurement, delivering impressions added across channels and screens. 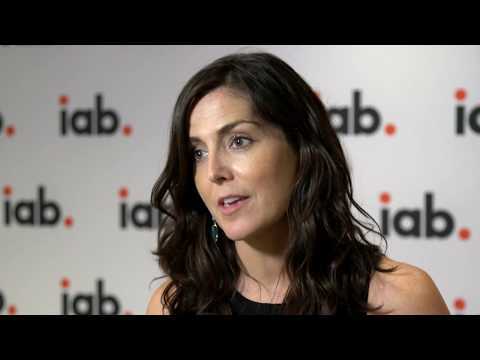 Kristen Hartley, Worldwide Content Director, Telco, Media & Entertainment of IBM Originals interjected with her thoughts on the way to captivate on mobile in her most recent campaign. “We were Facebook first AND mobile first. We worked on how to tell a wonderful story that looked beautiful. That’s what it takes to Stop the Thumb Scroll.” You have to move beyond data. You have to use your instincts and be visually engaging in the first 3 seconds. “Video success is both visually arresting and evokes an emotion” capped Holmgren. “If it’s not a buyer/seller conversation, it’s not going to work,” concluded Snyder. It is important to link online and offline. At Chobani there’s a dedicated brand creative in-house. It is a creatively lead organization. So they ask, where is the audience and what will motivate them to take that activity we want them to do? Their first step is to map out every possible touchpoint. 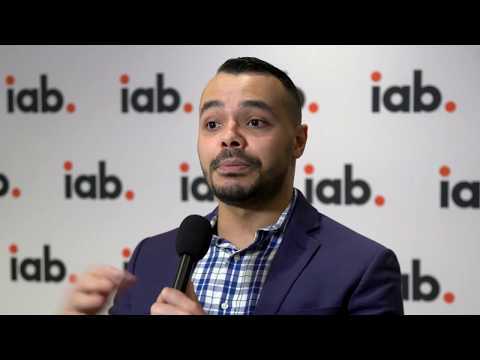 Optimization is the key to using video well and Chobani is using multi-touch attribution as their key optimization/measurement tool. This is a work in progress and it is too soon to report on results. OpenAp is more than a consortium, it is like a software company. Every 6-8 weeks engineers push out new features. And they are building a plan based in reality across all publishers and maximize de-duplicated reach. Lauren Wiener, CEO at Tremor Video DSP was next on stage in a session called “Taking Back Control in Our Brand Safety Focused World”. 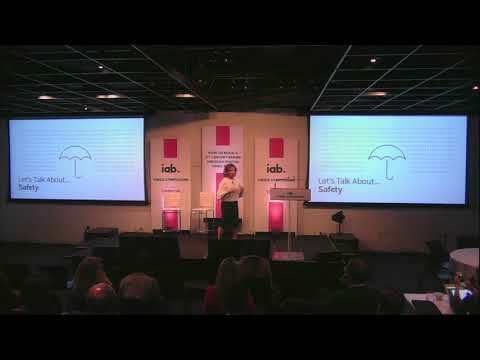 She stated that 75% of brands have experienced brand safety issues this year, but only 26% have done anything about it. There are three parts to this concern. Supply chain (Ads.txt verification). Combat Fraud. Brand Safety. It was suggested by the audience that when questioning brand safety, his brand assumes that consumers know ad targeting isn’t perfect. Users would blame the platform not the brand. The Town Hall discussion indicated that Fake News is beyond news we don’t agree with, it can be truly damaging. Your brand can be highjacked and marketers think they are advertising somewhere and they aren’t. Interestingly, you can really drive traffic with fake because fake can be way more interesting than truth. 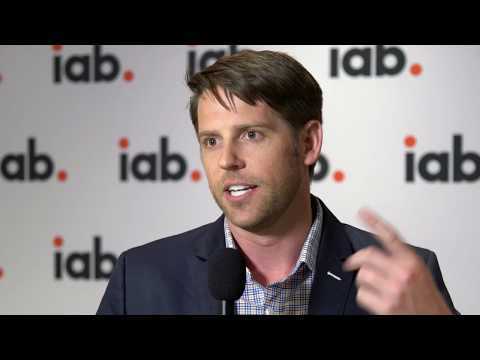 A key part of the solution is to use IAB taxonomy and remember that context matters. “The Future of TV and Skinny Bundles” was the final session. Brett Jenkins, Executive Vice President, Chief Technology Officer at Nexstar said that it’s not the distribution that is creating the disruption. It’s the content. ATSC 3.0 changing the transport layer to be IP based, like OTT and can deliver content like OTT delivers. With this technology, broadcasters will better be able to understand viewers preferences and deliver better choices. 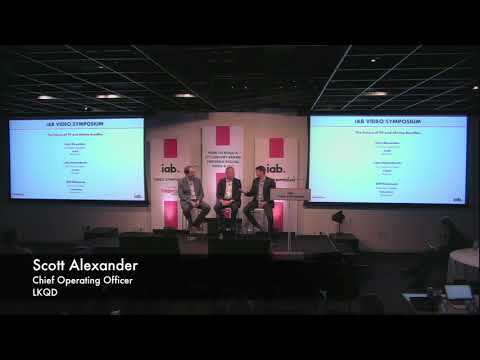 Scott Alexander, COO, LKQD, Colin Petrie-Norris, CEO, XUMO and Will Richmond, Editor and Publisher, VideoNuze took the stage and discussed Skinny Bundles as a growing part of the market, even to goliaths like ATT. It is changing the way consumers consume television. There is a trend where TV is being democratized by streaming tv. Scott joined LKQD Technologies in 2015 as Chief Operations Officer. His leadership spans every operational facet of the company including internal employee operations and external client engagement. Scott brings a decade of experience in digital media and brand marketing to LKQD, previously working at Oakley as Director of Digital Marketing and Global Product Manager at Red Bull Media House, where he was instrumental in the launch of Red Bull TV. At LKQD, Scott leverages his expertise to ensure the company continues to efficiently scale its operations and remains focused on customer success. Bryson Gordon is Executive Vice President, Advanced Advertising, Viacom. He leads the development of innovative data products such as Viacom Vantage, the industry leading advanced TV advertising platform, as well as integrated marketing and social data products. He also oversees the Marketing and Partner Solutions Insights group, which measures audience insights and analytics for the company’s advertising partners. Additionally, his purview encompasses exploring continued investment opportunities for Viacom’s data platform through strategic partnerships. Previously, Gordon served as the Senior Vice President of Data Strategy at Viacom. Under his leadership, Vantage’s portfolio expanded to include new offerings, including Vantage Instant Audiences, Vantage Target Discovery and Vantage Studio Edition. He established Vantage as the market leader in predictive targeting and guided its adoption by many of the world’s largest advertisers. Gordon has been at the forefront of the transformation of television advertising through advanced applications of data science for audience targeting, measurement and attribution analytics. Prior to joining Viacom in 2015, Gordon spent more than a decade at Microsoft leading consumer marketing, product management, and business incubation teams across Windows, Xbox, Office, Microsoft Store, and Surface. Within the Surface business, he created an Audience Marketing discipline that defined high-value influencer-segments, establishing data-driven pathways to fan cultivation. Earlier in his career, he led Consumer Product Management at McAfee Security, helping develop and market the company’s direct-to-customer subscription services. Gordon holds a BA in English Literature from the University of Western Ontario and an MA from Cambridge University. 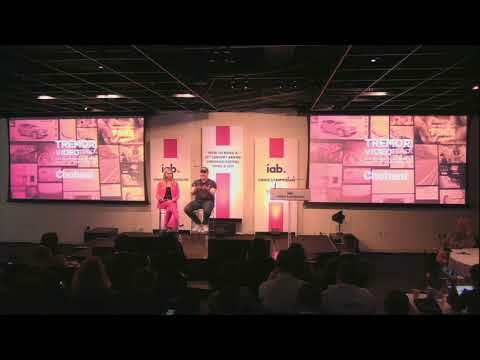 Kristen is a Worldwide Content Director for IBM’s Originals storytelling group. She leads social, campaign, event, client and partner video creation. In 2017 she created a multi-award winning campaign that increased VLRC and tripled engagement. Since 2001 Kristen has produced for television and digital in the areas of comedy, news, lifestyle, documentary, sports, music, travel and live events. Throughout her career she has led branded and original production at top media companies such as Scripps Networks, Rainbow Media, Discovery Communications, IBM, AOL, HuffPost and Verizon. She’s created shows with top talent such as Kristen Bell, Beyoncé, Jerry Seinfeld, Bobby Flay, and Matt Damon. In 2016, the original series she created at AOL and Huffington Post earned over 400 million unique views, the most significant series viewership in each publisher’s history. Her recognitions and awards include Ad Week, Cynopsis, Shortys, Tellys, Webbys, and an Emmy nomination. In her non-existent spare time Kristen is a wife, mom, a cook and a philanthropist. She is on the board of Funny For Fido, a 501c3 where she produces live celebrity comedy shows benefitting independently operated dog rescues across the country. Kristen holds a B.A. in TV, Radio & Communications from Southern Methodist University. Previously, Hartman was the Worldwide Group Publisher of Time Inc.’s News and Business titles. In this position, he oversaw global ad sales and marketing for Time, Time.com, Fortune, Fortune.com, Fortune Conferences and Money and Money.com. Previously, he was Worldwide Publisher of Fortune, Fortune.com, Money and CNNMoney.com. Prior to joining Time Inc., Hartman served as publisher of The Week and TheWeek.com from November 2007 to April 2010. Under his leadership, The Week was one of only a few media properties to achieve extraordinary advertising growth in 2009 and was included in both the Ad Age A-List and the Mediaweek Hot List that year. Hartman also oversaw the sales and marketing for both the launch and re-launch of TheWeek.com and led the site to profitability in its first year. Hartman sits on the Executive Committee of the DCN and on the Board of Directors of the IAB. Sara Holmgren is an experienced retail marketing expert with a deep passion and understanding for the customer. She thrives on delivering compelling content stories to customers that drive brand affinity and bottom line sales. Over the course of her 18 year career she has led product marketing teams, mobile media strategy, social content and media, omni channel marketing strategy, and now leads the work of campaign and brand marketing integration at Macy’s Inc. Sara influences the marketing department’s thinking and strategy across analytics, content, media mix, creative to create the most valuable experience for the customer and best representation of the brand. Eric John, Senior Director, Mobile, works with media companies, publishers, and marketers to help grow their mobile business through industry standards, research, and buyer/seller best practices. He brings nearly 15 years of technology marketing and partnership development to this position. Prior to joining IAB, Eric led digital strategy and initiatives for the Association of Magazine Media (MPA) where he helped launch their cross-platform Magazine Media 360° reports. Prior to MPA, he served as head of Digital Services at the Alliance for Audited Media, delivering certified publisher metrics and platform audits to IAB and MRC standards. In addition, he has held senior management and product marketing positions with Nokia, Yahoo, and DoubleClick. In her current role, Helen Katz oversees global data and contracts for Publicis Spine, part of Publicis Groupe. She is a trusted industry expert on data quality and reliable measurement within the arenas of addressable TV and precision video. A 17-year Publicis Groupe veteran, Katz has served in various strategic research capacities for Starcom, Zenith and GM Planworks – the holding company’s former division devoted to the General Motors business. 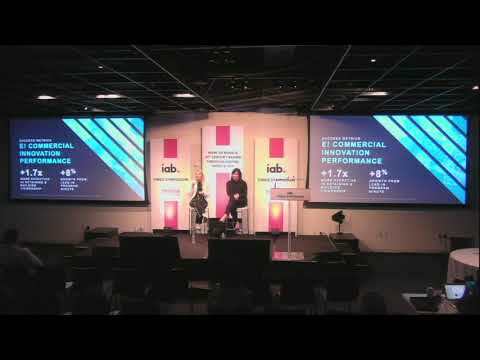 In 2009, she was integral to the Publicis Groupe team that launched The Pool – a unique research consortium that aimed to identify the next new ad formats across various channels such as online video, mobile/tablets and more. 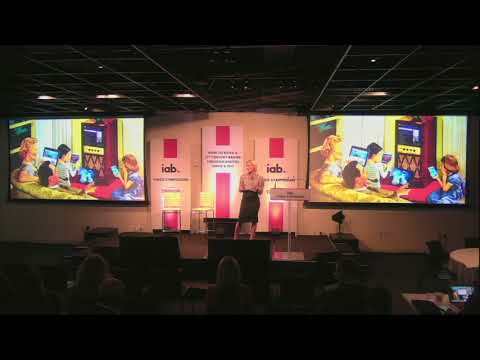 Prior to joining Publicis Groupe, she was Vice President, Media Research Manager at DDB Needham. She began her career as an advertising professor at Michigan State University, and is currently an adjunct professor at DePaul University. She has published numerous articles in industry and academic journals, as well as three textbooks on advertising and media, the most recent of which is The Media Handbook (6th edition, 2016). She is the ex-officio Chair of the Executive Committee of the Media Rating Council. Katz is also the recipient of the Advertising Research Foundation’s “Great Minds” award for research innovation and Jay Chiat’s Strategic Excellence Silver Award for innovation. Katz has a master’s degree in advertising and a Ph.D. in communications from the University of Illinois, and was an undergraduate English major at the University of London. Manuel Neto is an international leader with over 12 years of experience in media, business intelligence, analytics and marketing science at both agencies and “client side”. He is currently leading the Marketing Science team at Hearts & Science, where he’s responsible for implementing and transforming the measurement framework, test & learn practices, and story-telling approach to one of the nation’s largest advertiser. As CEO of XUMO, a streaming television company, Colin believes that getting content to television needs to be democratized. Colin has successfully pioneered partnerships with the world’s largest television manufacturers to revolutionize the way consumers watch TV. With traditional cable TV viewership declining, he recognized the need to change things up. As a result, he spearheaded an initiative that combined broadcast (RF) channels with over-the-top (OTT) content creating a viewing experience that put content and the viewer first. An intelligent and intuitive platform that seamlessly integrates smart TVs, smartphones and set top boxes, XUMO currently boasts over 140 free channels from today’s most popular digital networks and publishers. Will Richmond is editor and publisher of VideoNuze, a widely followed online publication which provides daily original analysis and curated news for online video decision-makers available and VideoNuze iQ, a comprehensive hub for video industry research data. Will also hosts and produces VideoNuze’s annual Online Video Advertising Summit and SHIFT // Programmatic Video & TV Advertising Summit, which thousands of industry executives have attended over the past 6 years. Will also produces the annual two-day NABShow Online Video Conference in Las Vegas. Earlier in his career, Will spent 8 years at Continental Cablevision (then the 3rd largest U.S. cable TV operator), where he was VP, Business Development and part of the founding team of Continental’s pioneering broadband Internet access service “Highway1”. Subsequently he served as VP, Business Development for CMGI’s iCast and for Narad Networks. He was also the founder of PoliticalWag.com, a popular political discussion/community site. Will serves on the board of overseers and chairs the Emerging Media and Technology Committee of WGBH Boston, the largest producer of TV programming and online content for PBS. In addition, Will is an adjunct professor in the Boston University College of Communication’s graduate program in Media Ventures. Will has a BS from Cornell University and an MBA from Harvard Business School. 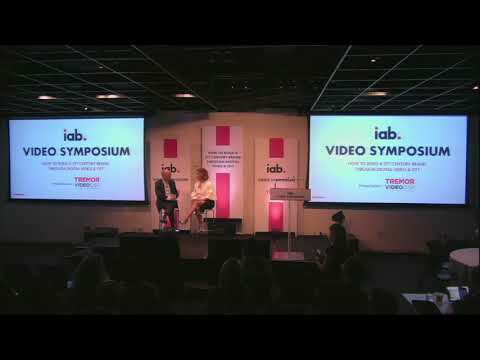 Randall Rothenberg is the President and Chief Executive Officer of IAB, the trade association for interactive marketing. IAB represents over 500 leading interactive companies. Its members include Google, Yahoo, Microsoft, AOL, The New York Times, Walt Disney Co., NBC Universal, CBS, Cars.com, Yelp, and scores of other ad-supported digital media companies, which are responsible for selling more than 86 percent of online advertising in the U.S. To support the growth of the interactive advertising and marketing industries, IAB serves as the industry’s public policy and lobbying organization, market and consumer research center, training and development base, and hub for the development of technical standards and operating best practices. 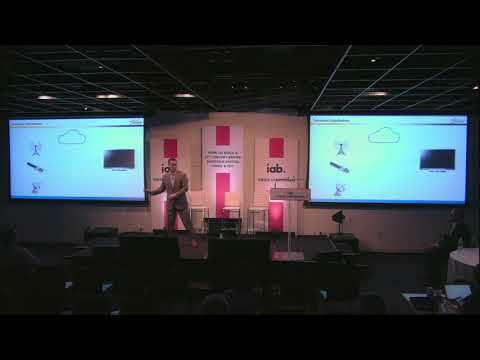 IAB has 40 affiliate associations around the world. Randall led the IAB from 2007 through 2010, and rejoined the association in March 2011, after a stint as Executive Vice President and Chief Digital Officer of Time Inc. Prior to his IAB role, Randall was the Senior Director of Intellectual Capital of Booz Allen Hamilton, the international strategy and technology consulting firm, where he oversaw business development, knowledge management, and thought leadership activities, and directed the award-winning quarterly business magazine strategy+business, Strategy+Business Books, www.strategy-business.com, and other electronic and print publications published by Booz Allen for senior business executives. Previously, he served as the firm’s Chief Marketing Officer. Prior to Booz Allen, he spent six years at The New York Times, where he was the technology editor and politics editor of the Sunday magazine, the daily advertising columnist, and a media and marketing reporter. For 10 years, he was a marketing and media columnist for Advertising Age, and he continues to blog on the subject at www.randallrothenberg.com. Randall is the author of Where the Suckers Moon: An Advertising Story (Alfred A. Knopf, 1994), a critically-acclaimed chronicle of the birth, evolution, and death of a single advertising campaign. Mr. Rothenberg received an undergraduate degree in Classics from Princeton and currently lives in New York City. Marni Schapiro is the Director of Retail Advertising at Snapchat. Prior to joining Snapchat in early 2015, Marni spent close to a decade leading various teams at Google, including Consumer Packaged Goods, Entertainment and Specialty Retail. She was a part of Google’s first dedicated YouTube and Display management team, focused on scaling a new player into a multibillion dollar platform. Marni started her career as a media planner and spent years in print advertising at Cosmopolitan and Marie Claire. She is a mom to three young kids and lives in Jersey City, New Jersey with her husband. Michael “Mike” Sepso is a world leading entrepreneur and executive in the esports and gaming industry. As an entrepreneur, he was instrumental in the creation of the esports industry itself and continues to be a key figure in what is now a fast growth, multi billion-dollar segment of the sports entertainment business. A successful entrepreneur, public company executive, CEO and spokesperson, Sepso is a unique mix of visionary, dealmaker and operator with an unparalleled global network in the esports industry he helped create. Mr. Sepso was an early pioneer in esports when, in 2002, he founded Major League Gaming with Sundance DiGiovanni. The company went on to become the largest and most powerful independent esports league in the world and achieved many of the industry’s important first milestones, including launching the first professional esports circuit, securing the first televised series with NBC Sports and building and launching the first OTT broadcast platform for premium esports content. In 2015, Activision Blizzard’s (ATVI) CEO Bobby Kotick turned to Sepso to launch the company’s first esports and media division. As Senior Vice President and head of the new division, Sepso galvanized ATVI’s various esports programs into what is now the largest and most successful esports organization in the world. Within four months of launching the division, Sepso oversaw the acquisition of MLG, at the time the largest acquisition of an independent esports business. In his role as the leader of ATVI’s new division, Sepso designed the original blueprint for the company’s new esports league structure, brought to life in the form of the Overwatch League, the world’s first global, franchised esports league. Following the launch of the league, Sepso oversaw commercial operations for all ATVI esports, including landing the largest sponsorship deals in the history of the industry. Andrew is Grapeshot’s SVP of Product Strategy, focusing on exploring new opportunities around video, mobile, and media partnerships. Previously, he oversaw the commercial product and operations teams at VICE Media. With over 20 years of experience in digital media, Andrew’s areas of expertise include audience data, advertising and revenue operations, programmatic technologies, interactive advertising design, and the productization of innovative digital media technologies. Andrew Snyder is the Senior Vice President/Head of Video of Meredith Digital. In this role, Snyder oversees the company’s digital video business, including digital programming and production, business affairs and studio operations, as well as video revenue strategy. Prior to holding this role, Snyder served as VP of Sales of Meredith Corp and, previously, of Time Inc. Prior to joining Time Inc., Snyder held sales leadership roles at Yahoo!, Discovery Communications and ESPN.com, and served as CRO for Associated Content, which was acquired by Yahoo! in 2010 for $100 million. Abbey Thomas is the chief marketing officer for Tremor Video DSP. She is responsible for linking the company’s product innovations to its customer-focused operations in order to build the brand, increase awareness and drive revenue for the organization. In her previous role, she oversaw the entertainment and automotive verticals for Tremor Video and was the founding member of the vertical strategy at the company. Thomas also spearheaded an exclusive category for TV retargeting, which allows brands to own the modern day living room by connecting their digital messages directly to the TV screen. She is based in Santa Monica, CA. Lauren Wiener is the CEO of Tremor Video DSP, a Taptica Company, which provides software for video advertising effectiveness by employing patented all-screen technology to make every advertising moment more relevant for consumers, and deliver maximum results for buyers. Prior to Tremor Video DSP, Lauren was president of buyer platforms at Tremor Video, where she led business strategy, revenue generation and marketing for the company’s demand-side platform. Her two decades of experience partnering with the world’s leading brands on the buy-side and sell-side inform her strategic vision of developing data-driven software solutions for video advertising effectiveness. In previous roles, Lauren was a key driver of innovation and revenue growth at fast-growing media and technology companies, as well as a corporate development expert and strategy consultant at several premier global firms. She lends her expertise to various boards of directors, with current positions on the Internet Advertising Bureau (Chairman of the Board 2016 to 2017) and the International Radio and TV Society. Linda Yaccarino is Chairman, Advertising and Client Partnerships, NBCUniversal. In this role, Yaccarino oversees all advertising sales and market strategy for the company’s entire portfolio of premium video content, including broadcast, cable and digital. She reports to Steve Burke, Chief Executive Officer, NBCUniversal. Under Yaccarino’s leadership, NBCUniversal’s 2017 Upfront was the most successful since Comcast bought the company—taking in more than $6 billion. Her portfolio strategy drove gains in broadcast, cable, and digital sales; resulting in NBCUniversal leading the marketplace for the third consecutive year. She also organized the industry’s first “State of the Industry Forum” as a place for top decision-makers from across the industry to have a provocative dialogue about the current state of the media business. Among her many industry honors, Yaccarino has been recognized at the top of The Adweek 50 Power List, by Variety’s “Power Women of New York” and The Hollywood Reporter’s “Women in Entertainment: Power 100” multiple years in a row. She has also been named one of the “Ten Most Powerful Women in TV” by Adweek and as a “CEO of Tomorrow” by Business Week. Additionally she was honored by the UJA Foundation’s Mac Dane Award for Humanitarian Excellence in 2017. Yaccarino sits on the boards of ascena retail group, Inc. (NASDAQ: ASNA), the Ad Council, Young Audiences New York (YANY), Girls Lounge, and the ACLD. Her community and professional affiliations include active involvement with WICT (Women in Cable & Telecommunications) and Penn State University, where she is on the Dean’s Advancement Council in the College of Communications. Andrew Capone currently serves as Senior Vice President, Marketing & Business Development for NCC Media. In this role, Capone oversees NCC’s Strategic Business Development efforts as well as Corporate and Sales Marketing, Content Development, Cable Network Relations, Corporate Communications, PR, Social Media and Promotions. He also launched NCC’s Multicultural, News and Sports Sales teams. Capone has more than 30 years of experience in media sales, marketing and executive management. Prior to NCC, he spent 12 years rising through the ranks at NBC Television. There he held a variety of posts, including SVP Marketing for the NBC Television Network, and executive sales and marketing roles for CNBC Europe and Asia, and the NBC Television Stations. His experience extends to digital media and e-commerce, with prior leadership roles at streaming video innovator Microcast, USA Networks Interactive and GSI Commerce. Capone is a graduate of the University of Miami, where he serves in an advisory role on The UM President’s Council. He is a Licensed Race Marshal for the Isle of Man TT Motorcycle Races, where he goes each year to participate in something even more harrowing than the media business. About NCC Media: NCC Media provides national, regional and local marketers with advertising solutions that allow them reach today’s consumers in premium television and digital content on every screen. NCC Media proudly represents every major US cable, satellite and telco service provider, and is jointly owned by three of the nation’s largest; Comcast, Spectrum, and Cox. Our nationwide team of over 500 people and our commitment to constant innovation and growth make NCC Media your first and best choice for reaching connected consumers. Jason DeMarco joined A+E Networks in July 2012 to establish a programmatic monetization strategy. During his tenure, A+E Networks has been a market leader in adopting new technology and creating partnerships that bring the best in content, data and systems to market. Jason continues to focus on automation across all platforms and data enabled revenue. Eric Hoffert has more than 25 years of experience developing digital media, mobile and enterprise software products at Apple Inc., Spotify, ATT Bell Labs, JW Player and new ventures. At JW Player, Eric was CTO and EVP of Product, leading video engineering and product development. At Spotify, Eric served as Video Architect for the leading streaming music service. At Apple, he managed Apple Computer’s Multimedia Communications Group, where he co-founded the QuickTime software project and led development of the first real-time software video compression algorithm running on the QuickTime multimedia standard. The patented QuickTime technology he developed has been downloaded more than a billion times. Prior to joining Apple, Eric was a research scientist at ATT’s Bell Laboratories. Eric has also worked as a digital media consultant for Disney, SONY, Viacom, VICE Media, TiVo, Stanford, Carnegie-Mellon, PG and Unilever. He has published multiple papers, lectured widely around the world and holds 25 US patents with 18 additional patents pending. With deep experience in premium media, video and mobile, Mr. Irlando leads the team responsible for strengthening Telaria’s DSP partner relationships in North America. Mr. Irlando is a veteran of the digital media industry, with more than a decade of experience serving in pivotal revenue roles at major media companies like The New York Times and Tronc’s Spanfeller Media Group. Previously, Mr. Irlando was at Kargo where he served as Vice President of Programmatic. Prior to Kargo, Irlando served as Vice President of Client Engagement within GroupM’s programmatic media company, Xaxis. While at Xaxis, Irlando is credited with establishing the company’s direct business and helping launch its performance division, Light Reaction in the US. Megan Latham is the Global Head of Advertising Operations for the Bloomberg Media Group, Bloomberg L.P.’s global multi-platform media organization that comprises web, mobile, television, digital video, radio, print magazines and live events platforms. She oversees planning and campaign management, pricing and inventory, programmatic, trafficking, ad technology and ad product innovation. Since joining Bloomberg in May of 2015, she transformed the ops organization to be fully cross- platform and rebuilt both the structure and all processes around how the team works, both internally and externally. Building on that foundation, she expanded upon market-leading ideas, insights and ad products for all of Bloomberg Media’s properties while driving superior, measurable results for their media partners. Megan’s goal is working with her Global Ad Operations Team to show how Bloomberg Media is the leader in cross-platform, digitally-led media programs, product offerings, customer service and technology. Kirk Linden is the SVP, Advanced Platforms Ad Sales and Operations for AMC Networks, where he leads Ad Sales innovation across all emerging platforms. Previously, he led brand management for WebMD for seven years. Kirk’s areas of expertise are in ad sales, operations, brand management, business development, market research and product development. Mark Rotblat is the Chief Revenue Officer of Tubi TV, the largest free movie and TV streaming service in the country. As CRO, Mark is responsible for driving revenue through sales and partnerships globally. Mark comes to Tubi TV from Adobe Systems where he was Sr. Director of Agency Sales & Activation for the Adobe Advertising Cloud. Leading up to his work at Adobe, Mark was part of TubeMogul’s founding team in 2007, which held its IPO in 2014 and subsequently was acquired by Adobe for $540M in 2016. At TubeMogul, Mark held a variety of roles with the company including Marketing, Business Development, and various Sales leadership positions, where his responsibilities included driving sales strategy, communications and execution with agency partners as the SVP of Agency Sales. Mark previously worked in Marketing and Business Development at Healthline, a top 10 health publisher, and before that was a management consultant to healthcare organizations at Stockamp & Associates. Mark holds an MBA from UC Berkeley’s Haas School of Business and a BS from Duke University, and is based out of the San Francisco Bay area. Frans Vermeulen is a technology and media/advertising growth executive with a 20-year track record of successful exits and leading large teams. He is a highly visible and frequent speaker at worldwide industry events (e.g., IAB, CES, DMEXCO, Broadcasting & Cable, Variety, Future of TV, Gabcon, MediaPost) and is an active advisor and investor in various early stage companies. Despite an industry call for action last fall, there continue to be concerns around legacy measurement processes and other considerations. Linda Yaccarino provides a state of the industry and shares her perspectives on how to move forward by innovating and creating commonalities. Video is an incredibly powerful medium with which to tell brand stories, but it’s not one-size-fits-all. From branded longform documentaries to short 6-second “snackable” content, there’s a multitude of ways to bring a narrative to life. In this conversation, Sydney Levin, Kristen Hartley, and Sara Holmgren share how they approach branded videos, focusing on how they pick the right approach to maximize completion rates and best practices for grabbing viewers’ attention. Learn about the importance of the creative strategy and partnership to ensure the content and distribution methods meet KPIs, and discover how success is defined and measured. No one said establishing common metrics for content and advertising across platforms would be easy, but surely there are steps that can move us more quickly from where we are today, toward a consistent framework that enables comparability of video advertising across various forms of media. Learn about the industry’s top priorities when it comes to measurement in 2018. In this conversation, an agency and publisher highlight what’s fixable and where we go from here. The modern living room has transformed captive television viewers into second-screen multitaskers, making it more difficult than ever before for marketers to reach and engage these increasingly distracted consumers. In this informative discussion and creative showcase, you will learn (and see!) how Chobani has successfully navigated this fragmented landscape through smarter audience targeting combined with compelling, cross-screen video creative that adapts and evolves as viewers travel along their customer journeys. Today’s consumer wields an arsenal of weaponry, but none more powerful than the remote control. Consumers’ fingers are on the buttons, ready to launch, with no advanced warning; we have cable apps, cloud DVRs, OTT, Smart TV, and streaming video of every stripe. And smuggled, on miniaturized, advanced devices, from their living rooms to gyms, commuter trains, airplanes, even conference rooms. In this frightening future, how will marketers survive? Who will save us from this advertising apocalypse? CTV represents the best of both digital video and TV – precision targeting in a premium video environment. This workshop, conceived as a dynamic conversation between Adam Irlando and Megan Latham, examines the mechanics and workings of the CTV ecosystem with the goal of advancing an understanding of how to best transact in this environment. Movies are a big business with film marketing a key ingredient for success; its similarly key to get the word out on new TV shows. To connect with moviegoers and TV lovers, it’s important to reach them wherever they may be engaging with film and TV content. Advertisers need to rise above the fray, cut through the clutter, and be heard amidst the noise. Connected TV offers a great opportunity to reach desired audiences of cord cutters and pay TV users alike. Agencies and brands are using programmatic to reach consumers on new video platforms in increasing numbers. This discussion includes buyers and sellers of movie/TV advertising on Connected TV. Learn about the challenges and opportunities in building this new marketplace, delighting consumers and delivering on KPIs for advertisers and publishers alike. Video is one of the best mediums for brands to tell their stories to consumers. We also know those consumers are spending more time than ever before on their mobile devices, particularly in-app. Verve believes location, powered by Movement Science, is the best way to understand and target them. In this presentation, Ryan Bricklemyer discusses the challenges and opportunities in combining video, in-app, and location to meet the needs of brands and their consumers. In January, IAB published its 2018 outlook for advertisers, elevating brand safety as a preeminent focus area in the year ahead. Many of us now recognize that taking steps to ensure brand safety and protect against ad fraud is imperative, but how many of us are adopting a truly strategic and holistic approach to safeguarding our brands? 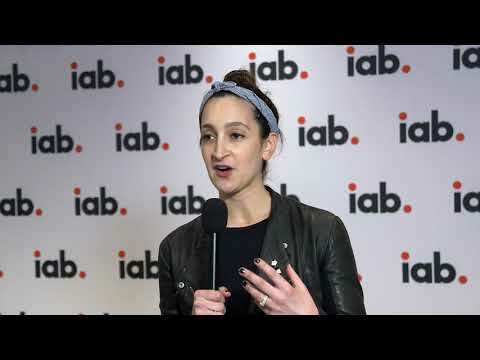 Lauren Wiener talks about the innovative ways that advertisers and publishers are harnessing data and technology to solve these important industry-wide issues, and how we all have a responsibility to take action now to ensure greater safety in ad spending. What are the main problems in the video advertising ecosystem that are contributing to fake news, fake users, fake domains, or simply the wrong ad showing up in the wrong content or context? Is viewability verification still an issue? What solutions appear promising in the brand safety space? How does block chain provide a potential protocol to improve transparency between buyers and sellers? Face Forward Case Study with Snapchat and E! Last fall, Abercrombie & Fitch looked to change brand perception and make its stores the go-to shopping destination for 21 to 24 year olds. It also looked to bring more customers into its locations with an advertising campaign sure to resonate among its intended audience. A&F turned to Snapchat and E! to spread the word on its new brand message. 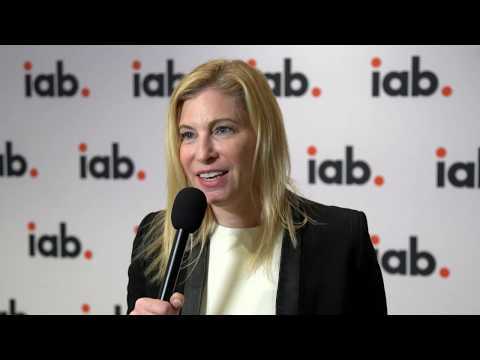 Hear more on what made this partnership a success from NBCUniversal’s Laura Molen and Snapchat’s Marni Schapiro. Part One: Broadcast Goes IP: Learn what ATSC 3.0 means for television. Part Two: Discover how distribution is evolving with greater choice for consumers, the emergence of virtual MVPDs, and new ways of packaging content. Tremor Video DSP provides software for video advertising effectiveness. We employ patented all-screen technology to make every advertising moment more relevant for consumers, and deliver maximum results for buyers. Tremor Video DSP is a Taptica Company. Gamut is a digital media services company owned by Cox Media Group. Gamut is an organization dedicated to connecting agencies and brands with consumers eager to hear their messages. Spanning multiple platforms, we give them power to reach their audience wherever they may be. Gamut possesses an in-depth knowledge of the digital space, and provides comprehensive methods for reaching target audiences. Grapeshot uses adaptive machine learning algorithms to organize large amounts of data into useful, shareable actions. Grapeshot is integrated with all major programmatic trading marketplaces including AppNexus, MediaMath, Turn, The Trade Desk, Adelphic, AdForm, iPinYou and AOL. Grapeshot receives over 3M QPS, 7T consumer impressions per month, recognizing 100+ languages and deploying segments across 148 countries in 31 languages. Clients include British Airways, Dyson, eBay, Electronic Arts, Experian, IBM, Mazda, Swarovski and Unilever. Grapeshot has offices in Cambridge, London, New York, Chicago, San Francisco, Singapore and Sydney with further expansion planned for China and Germany. NCC Media is the only multiscreen media sales company that represents video programming providers and select digital partners in every US market. Our mission is to provide national, regional and local marketers with advertising solutions that allow them to reach today’s consumers in premium television programming and in targeted online content on every screen. NCC Media proudly represents every major cable, satellite and telco service provider in the country and is jointly owned by three of the nation’s largest; Comcast, Spectrum, and Cox Communications. Advertisers work with NCC Media to maximize reach among local consumers in cable programming, on every screen. TiVo is a global leader in entertainment technology and audience insights. From the interactive program guide to the DVR, TiVo delivers innovative products and licensable technologies that revolutionize how people find content across a changing media landscape. TiVo enables the world’s leading media and entertainment providers to deliver the ultimate entertainment experience. Explore the next generation of entertainment at tivo.com. 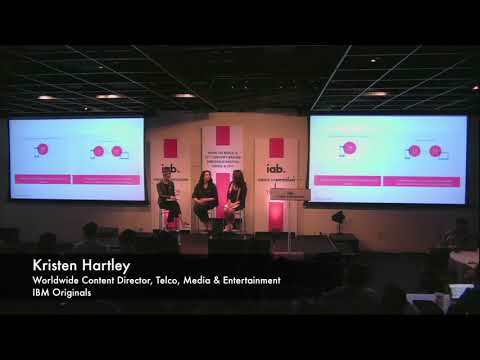 What Are the Greatest Opportunities in OTT Today? How is Digital Video Contributing to Fake News?